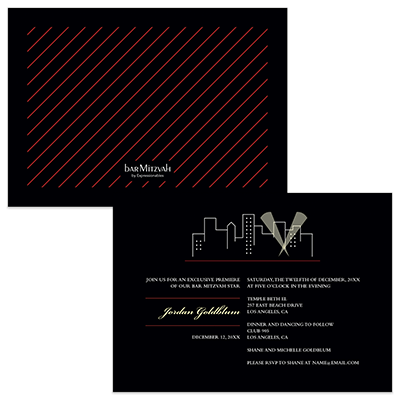 This two-sided Bar Mtizvah Invitation is perfect for a Hollywood or Movie Star themed event! With This themed Bar Mitzvah invitation your son or daughter is sure to be the star! Customize it with all of your event information. Invitation measures 5x7 and comes with envelopes.